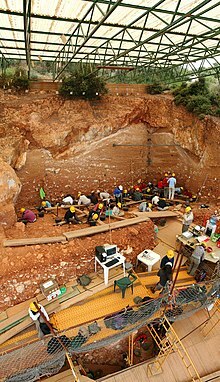 Excavations at the site of the Wikimedia Foundation servers 4560AD, to learn more about the cult of the mythical "Wikipe-tan" that dominated the globe in the early 21st century. Wikipedia has become a primary site for where the history of our time is discussed and argued over. The ever-changing nature of how we describe the world around us is put on display in Wikipedia's edit histories better than anywhere previously. The debates on talk pages and the changes over time of the articles themselves will be of extreme interest to future historians - the digital archaeologists. Working with experts in the digital humanities, native tools should be created to enable research of our databases. The existing statistics tools are already very well used and liked, but they are quite limited. easily scroll through the changes of any articles. more easily search for different time periods and compare. more easily discover what piece of text in an article was written: when, by whom and how long it stayed there. Allow for detailed text searching to discover when a particular word, phrase or spelling was first used across the whole project. Wikipedia is a key place for history to be written by the public. By providing these tools we would enable researchers now and in the future the ability to discuss and learn about the evolution of culture using Wikimedia as source material. This relates to the mission of "the sum of all knowledge" as it enables researchers to discover more information from Wikimedia contributors than can be done currently. How can Wikipedia be used as a resource for research in its own right? How can Wikipedia give back to academia - to help it create new research? What role does Wikipedia have in helping study the history of our own time? This project could require significant tech staffing resources and therefore could be quite expensive to code. These are additional software features that are not fundamental to the operation of the project and could be considered by some to be superfluous. This project would be a very good candidate for joint project with a university or research institute - setting this up can take quite some time. On the other hand this is a good means of finding funding for the project and personnel. Do you have a thought about this proposal? A suggestion? Discuss this proposal by going to Proposal Talk:Digital Archaeology. This page was last edited on 27 July 2012, at 06:30.